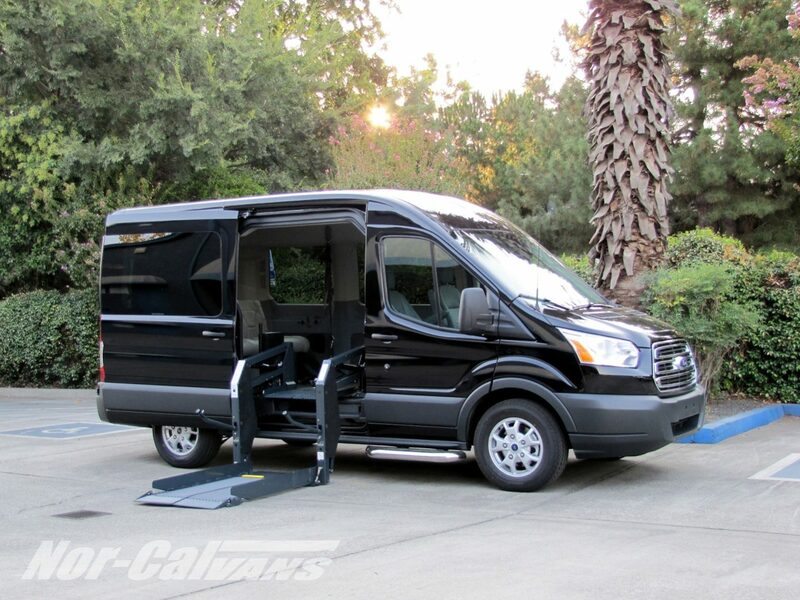 Nor-Cal Vans offers a Transit conversion for the everyday wheelchair user. Increased fuel economy, maximum interior room, towing capabilities and double the weight carrying capacity of most modified minivans. Standard features include side or rear entry wheelchair lift, flush-mount L-track, reinforced shoulder belt anchorage point for wheelchair position, non-slip commercial flooring and subfloor, and floor reinforcement for wheelchair lift and seats. Driver options include a B&D transfer seat base, power slider door and remote entry with interior-exterior switching.